This tube will have you customers and clients laughing with glee. The personalised Choc Beans Tube brings excitement. 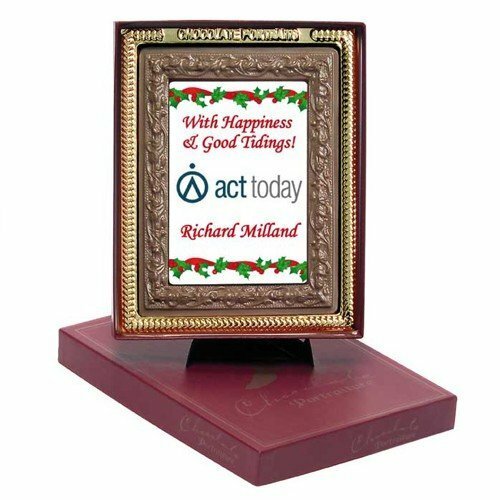 When it’s the gifts that will make a difference on your promotion, you’re definitely going to need promotional giveaways that won’t let you down. 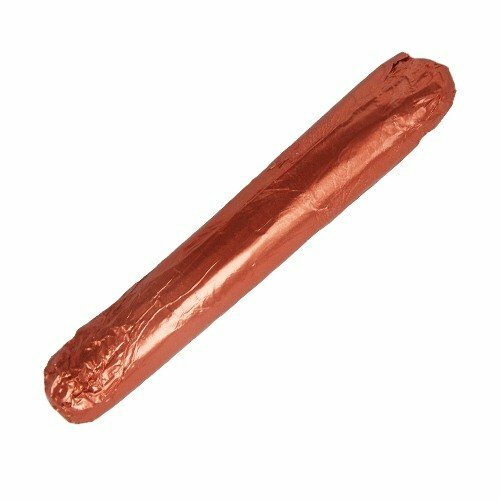 Worry no more, as we give you the promotional Choc Beans Tube. 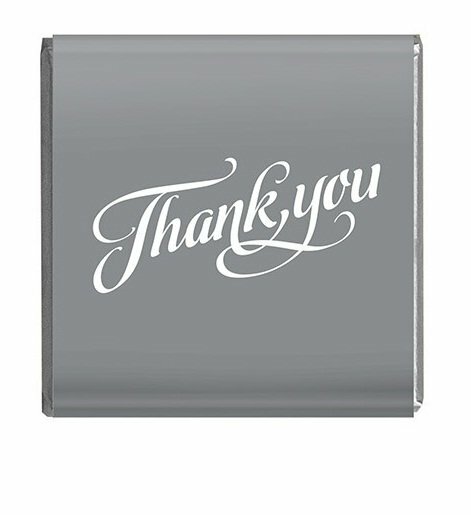 This handy dandy gift item is set to give you a good impression among your colleagues, and make a memorable introduction to prospective clients. The secret is simple. It’s packed with 100 grams of super amazingly delicious chocolates. Taste one and you’ll understand. Every choc bean is a delightful experience. Chewing them is like having an oral playground. Each bite is pure excitement, and swallowing them is just utter gratification. And right after the experience, you’d just want to repeat it over and over again. And to reinforce your branding, you can put your company insignia right on the lid via a 38mm diameter sticker. The stickers are printed in full colour so intricate designs are very much welcome. This is particularly strategic as everyone will be able to see your branding every time they open the personalised Choc Beans Tube. What’s more, because of the small size of the tube which is 45mm (w) x 85mm (h), they’re very convenient to take along anywhere, which equates to your advertising being able to reach a lot of places. You should also check out our other types of candies. 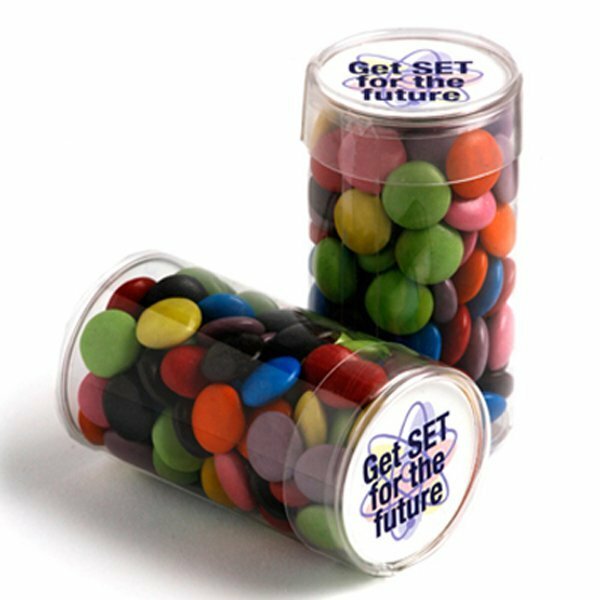 We also do offer promotional M&Ms like the branded M&Ms Small Cube. Or if you’re after a more exotic taste, the promotional Cappuccino Large Pralines is a great product to have for your events. Other than candies, our custom Camo Caps range at Fast Caps also make great promotional products, so do also check them out. Just imagine giving your sales team a brand spanking new camo cap each and a colour coordinated, brand consistent confectionery treat to stimulate their senses. Your sales figures and brand are going to take a really rapid upward spike. You can always give us a call when you need assistance. Our hotlines are ready. Just simply dial 1300 008 300. Or send your questions through live chat and we’ll quickly send you a response.